Use this 432 Hz Music for yourself, for your meditations or your yoga practice. If you work as a therapist, use it as a background music during your sessions. This music is also perfectly suited for autogenous training or hypnotherapy. During a massage or wellness treatment 432 Hz Music can lead to an even deeper relaxation. This music enforces your therapy! It plays over 85 minutes without any interruptions – so you can fully concentrate on your meditation or treatment. For using this music commercially, please get in contact with us! 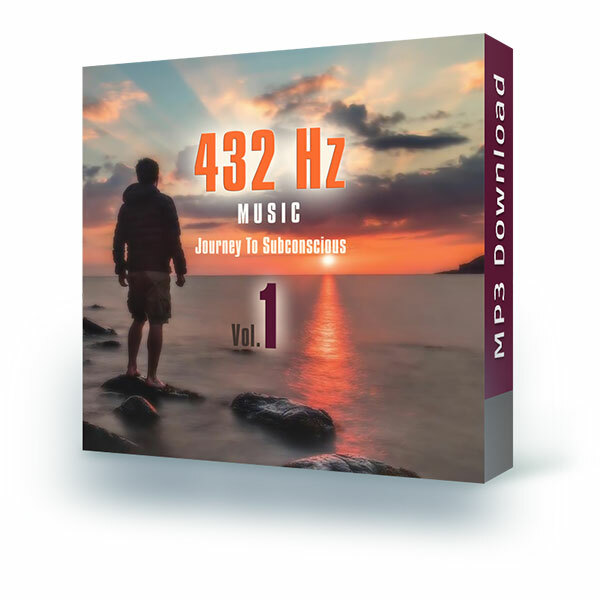 The 432 Hz music part 1 as well as part 2 is soothing and relaxing. Not only for adults, even children are noticeably quieter. If we had only music based on 432 Hz versus currently 440 Hz on earth, the ubiquitous aggressiveness would perhaps have disappeared to a large extent. I use the music daily in practice - for meditation and as background music. My patients are excited and the effect is palpable. Relaxation after a chiropractic treatment, acupuncture or other manual treatment is pleasantly supported and enhanced by this music. This is a large benefit bothl for the patient and the therapist - because now I can go home relaxed and happy even after a long day at the clinic. I work with people from 0-99 and everyone loves the sounds, especially my youngest patients. I'm looking forward to more productions! The two albums have become an indispensable part of my sessions. The frequencies are perceptible in my whole body. I feel very well when I hear them. The have become a part of my meditations.